Blondie have been working with a whole host of amazing pop people on their new album: Sia, Charli XCX, Dave Sitek and Joan "I love rock and roll so put another dime in the jukebox, baby" Jett. 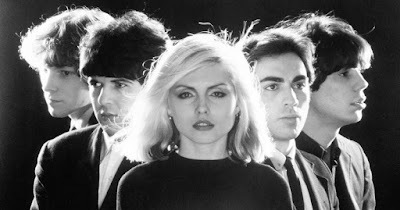 (They've also been collaborating with Johnny Marr and Nick Valensi out of The Strokes, which dampens my enthusiasm somewhat - but half a good Blondie record is better than no Blondie record at all). The latest track to be released from Pollinator is called Long Time, and it's produced by Dev Hynes, the man behind Solange's moody pop beast Losing You; Carly Rae Jepsen's moody pop beast All Yours and Sky Ferreira's moody pop beast Everything Is Embarrassing. He keeps up his phenomenal strike rate here, with a song that appends Blondie's signature disco-punk sound with a rushing swirl of synths and guitars. It's a moody pop beast.